Manually managing a brand’s social profiles can be time consuming, not only because brands typically have a presence on multiple social networks, but also because social updates need to be posted regularly to maintain the brand’s social visibility. Fortunately, there are a plethora of social media management tools available to help Internet professionals become more efficient in their social media initiatives. The challenge, however, is that the Web moves fast, and social acquisitions make headlines nearly every week – which makes it difficult for busy professionals to keep up. For instance, popular social media management tool Wildfire was acquired by Google in 2012 and subsequently shut down in 2014. Additionally, social marketing company awe.sm was acquired and is now part of Unified’s product offerings, which is a real-time social marketing company. These are just two of the many acquisitions that made headlines in the social space. Hootsuite has been at the top of the social media management space for a while now, and for good reason. Not only does the company offer a platform that enables users to schedule and manage posts across social networks like Facebook, Twitter and LinkedIn, but it also can be leveraged to monitor social conversations and analyze a brand’s social performance. 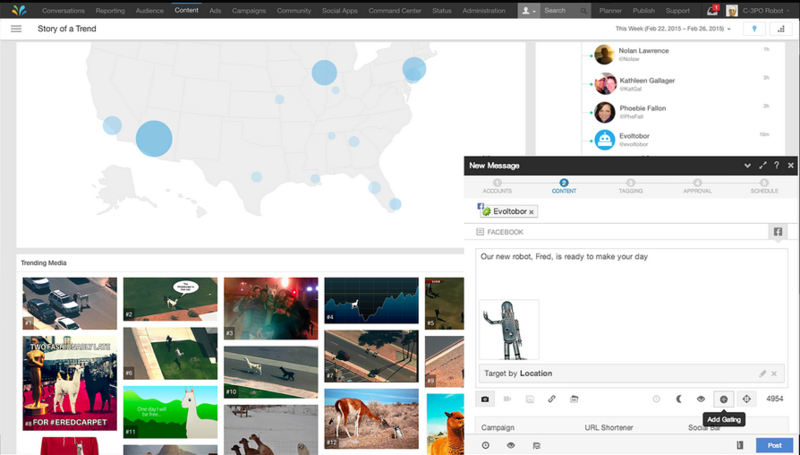 In addition, Hootsuite offers collaboration features that are ideal for teams, as well as offers an App Directory that Web pros can leverage to add extensions to their Hootsuite dashboard. With Sprout Social, brands can draft, schedule, queue and post messages to Twitter, Facebook, Google+ and LinkedIn. The platform also enables users to shorten links, attach images and target specific audiences. Plus, Sprout Social offers a variety of other handy tools, such as “ViralPost,” which analyzes followers’ engagement patterns to determine the best time to publish content, as well as tracking and measurement features that provide brands with important insights. Users can also assign and manage tasks for their team members. Buffer offers solutions for individuals and businesses. 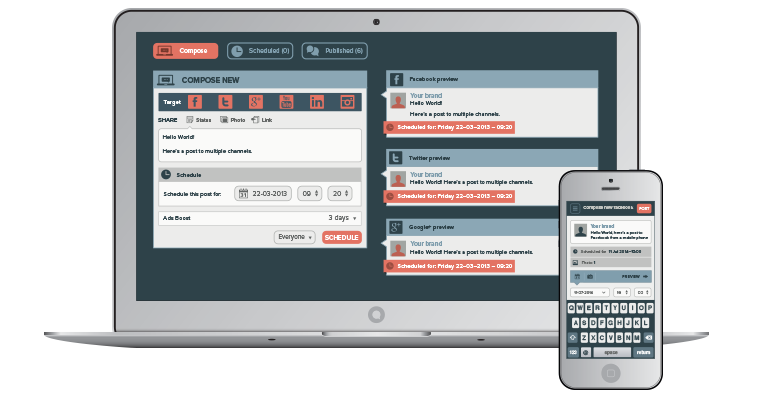 With the company’s business solution, users are able to schedule posts ahead of time on Facebook, Twitter and LinkedIn. The company offers analytics so users can determine the impact of their social initiatives, as well as a RSS feed integration and the ability to schedule an unlimited number of posts. The company’s business plans start at $50 a month for five team members and up to 25 connected social accounts, and range to $250 a month for 25 team members and up to 150 connected social accounts. TweetDeck is a little different than the aforementioned solutions, as users are only allowed to schedule and manage Twitter accounts and not profiles from other social networks. That said, the platform is still very beneficial as users can organize and build custom timelines, track topics and hashtags and share accounts with their teams without sharing private passwords. Sprinklr’s social media management platform enables users to publish and monitor content on a variety of social channels, including Facebook, Twitter, LinkedIn, Google+ and more. Through the platform, brands can ensure consistent brand voice and messaging across networks, as well as manage deployment and sharing via Sprinklr’s editorial calendar. It is also important to note that Sprinklr offers a variety of other products, including social listening, advertising and analytics (to name a few). 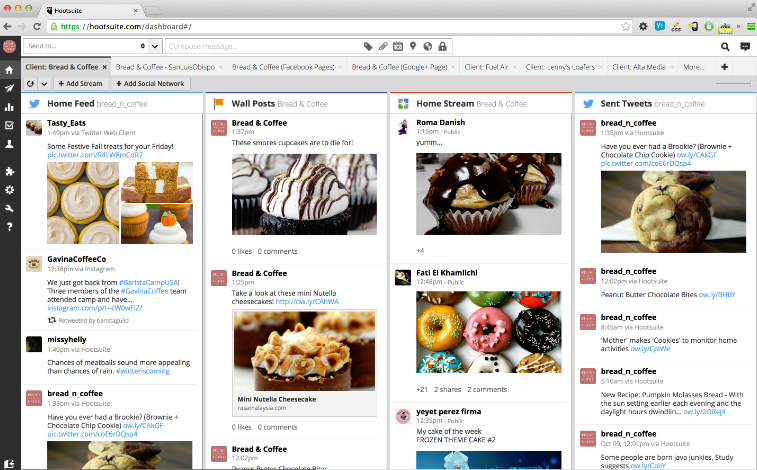 Similar to TweetDeck, SocialBro is designed specifically for Twitter. 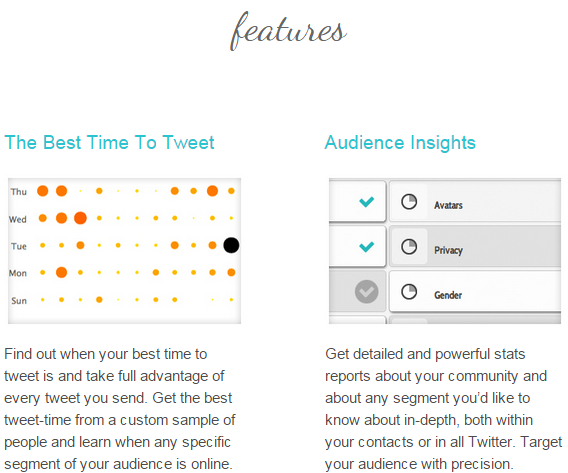 Through the platform, users can target their audience, discover the best time to tweet and engage with their followers, analyze their performance on the social network and manage their campaigns. The platform offers a variety of other handy tools too, such as the DM Campaigns tool that is designed to help businesses better target their audience, as well as the Mention Helper that helps users add multiple Twitter handles to a Tweet with just a click. With Komfo’s social media marketing suite, brands can advertise, monitor analytics, listen to their audience across networks and publish content across Facebook, Twitter, YouTube, Google+ and Instagram. In fact, brands can even target fans based on things like language and country through Komfo’s dashboard. Plus, the platform enables users to set up alerts via SMS and email so they can be notified if any audience issues arise on social channels. Viralheat is a pretty robust social media management platform, enabling users to monitor social conversations, analyze trends and key insights, as well as schedule and publish content across social networks, including Facebook, Twitter, Instagram, Pinterest, LinkedIn, Youtube, Google+, Tumblr and Foursquare. The platform is also great for brands with social teams, as it offers workflow management tools that enable users to set individual permissions and assign specific tasks to employees.